Al Falah University signed a memorandum of understanding with National Charity schools on Tuesday, 15.03.2016. Al Falah University strives to enhance these efforts to expand the horizon of cooperation with leading educational institutions in the UAE. This joint agreement was signed in the presence of Dr. Samir Al Barghouthi, Vice-President of Academic Affairs, Al Falah University and Dr. Kamal Farhat, General Manager, and Dr. Mohammed Suleiman Shaath, Assistant Director-General, national charity Schools. This memorandum opens gates for both the parties to cooperate in academic practices and executive development programs, as well as research, seminars and conferences at all levels. Both the parties will also participate in events, workshops and seminars and academic conferences organized by both, jointly. 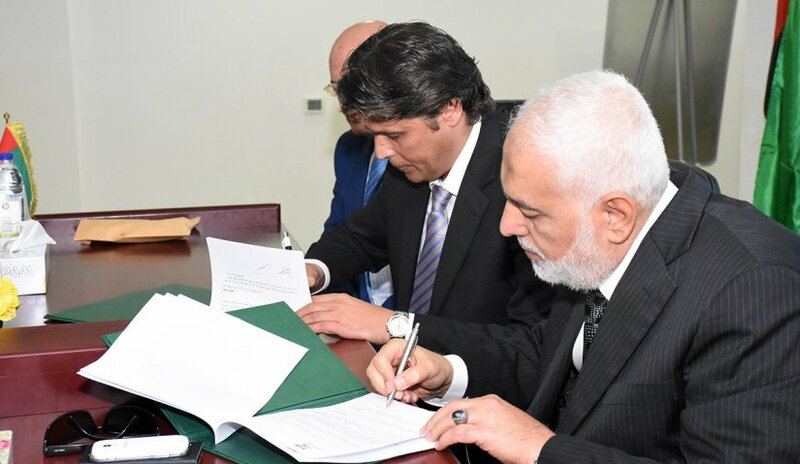 Under this agreement Al Falah University will provide all the students of national charity Schools a discount of 10 per cent on the tuition fees for quarterly installments. There will be other discounts for administrators and teachers. Dr. Samir Al Barghouthi expressed gratitude and stated that this cooperation is one of the effective steps that will contribute to achieving the goals of attaining higher standard of education. He added that Al Falah University is keen to provide educational services to schools in the UAE. Dr. Kamal Farhat said that the signing of a cooperation agreement with Al Falah University meets the aspirations of the founder of the school, HE Juma Al Majid, which is aimed to follow-up on underprivileged prospective students in order to support them in completing their undergraduate degree within the prestigious universities and to prepare properly them for the demands of the labor market. Dr. Mohammed Shaath, Assistant Director General, offered special thanks to the Chancellor of Al Falah University, Dr.Noor Atatreh and Vice President of Academic Affairs, Dr. Samir Barghouthi, for their efforts to support the educational process.